When it comes to law, experience matters. 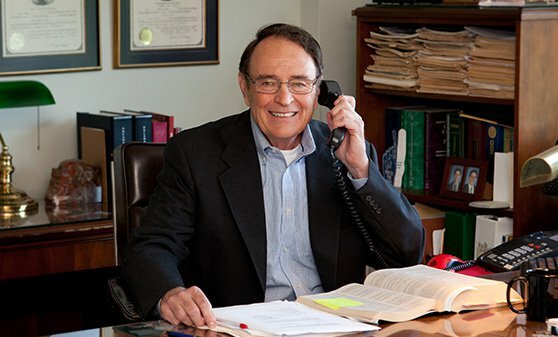 Attorney John Stuart has served Tulsa, Oklahoma and the eastern half of the state for more than 40 years. These four decades have afforded him intimate knowledge of the courts and people who run them, giving his clients the upper hand. John guides clients through issues concerning business law, real estate law, employment law, professional liability, civil rights, insurance defense and estate planning. 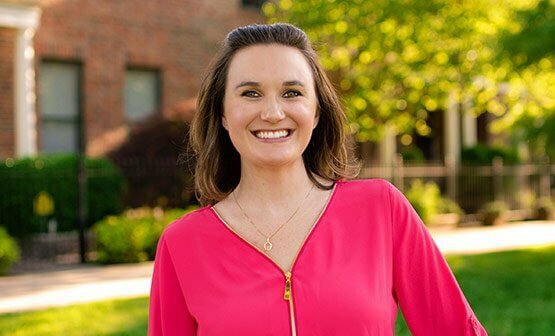 Since November 2015, Lacey has owned De'Omni Services through which she provides contract paralegal assistance to attorneys in Tulsa, including Wagner Stuart. "Our experience has taught us what approach works and when to execute it." Wagner Stuart stakes its reputation on doing it the right way. We offer clear solutions that do not put clients or our firm in jeopardy. We know what approaches work. Our knowing every court in this half of the state gives us a better chance of understanding what strategies will work for your case. Clients know we will listen to them in order to fully understand and appreciate their circumstances and identify their goals to help them accomplish them. We offer no false expectations to clients. If your legal goals are unattainable or infeasible, we immediately let you know. Wagner Stuart will make the most of your time, and our upfront approach eliminates disappointment and unnecessary expense. Our fees are similar to fees charged in the Tulsa Area, but many times they are lower. The conversation is always open between you and your attorney at Wagner Stuart. Communication freely flows both ways, ensuring a better chance for your case. The success and failure of a business depends on the legal aspects of how it is structured. Wagner Stuart, PLLC ensures Tulsa businesses thrive because they were formed the right way through experienced legal guidance. Once the courageous step has been taken to start your own business, it’s crucial to view the new business endeavor from a legal point of view. Should a corporation be formed? Is there an operating agreement in place? What type and amount of insurance coverage is legally appropriate? What is needed to obtain and keep key employees? Wagner Stuart assists entrepreneurs in addressing the many legal issues which accompany the creation and operation of a new business. We have clients who wanted to purchase or sell an existing business and worked with them to address the legal ramifications of doing so. Accidents occur every day in Oklahoma, and sometimes to those not at fault. They can happen just about anywhere in Tulsa, including at work, at your child’s school, and even at someone’s home. Wagner Stuart attorneys have served Tulsa residents in matters of car accidents, motorcycle crashes, truck rollovers, bicycle accidents, pedestrian-vehicle collisions, construction site accidents and those caused by a drunk driver. We have successfully handled cases for plaintiffs and defendants. If you’re facing an accident claim or have suffered at the wrongdoing or negligence of someone else, you need an experienced accident lawyer on your side. Contact a Wagner Stuart attorney today and tell them your story. Wagner Stuart began with defending insurance company policyholders. We have a history of representing great companies such as Allstate Insurance, Vericlaim, GE Solutions, Navigators Group, Inc. and Scotts Ortho Group. Working with the investigators, insurance adjusters, claim managers and underwriters has provided a Wagner Stuart with a depth of insight covering how the process works and how particular matters can be handled in a more cost effective manner. Wagner Stuart assists with issues of uninsured and underinsured motorists, bad faith, reservation of rights and more. Contact attorneys who provide insurance company policy beneficiaries with the representations they deserve. Set up a consultation with Stuart Wagner. It is not unusual for employers to downsize because of a weak economic circumstances. This often results in employees losing their jobs, which can be catastrophic to families, especially if they were the primary breadwinner. When this happens, Wagner Stuart, PLLC can help minimize the pain by helping with the negotiation of the terms of separation to get you a better severance package. We also help you when deciding how best to handle arrangements such as 401k, Thrift Plan, pension plan, life insurance and accidental death and dismemberment insurance (AD&D), and medical insurance. An employment law attorney can guide you through all the post-employment steps you'll need to regain control of your life. Set up a consultation with Wagner Stuart today. You don't need to be wealthy or elderly to start thinking about your estate after death. If you own a home or a car or have a checking or savings account, you have an estate. Often a person with a small or modest estate is most in need of a plan to provide for the proper transfer of that property at death. There are several reasons to have a will or a trust. Most importantly, having a will or trust allows you to decide who will receive your property rather than leaving that choice to State law. Having a will allows you to choose your personal representative. Having a trust allows you to avoid the probate court system altogether if your trust is created and funded properly. If you have minor children you can name their guardian in your will or trust. Call us Wagner Stuart to discuss what estate planning option are best for your situation. We can help you avoid the pitfalls of the fill-in-the-blank, one size fits all gun trust. Wagner Stuart gives careful consideration to each client’s overall estate planning goals and plans when it comes to NFA gun trusts. We help you draft a document allowing for the purchase, possession and sale of Class 3 weapons such as submachine guns, machine guns, suppressors and destructive devices. You may need to tell us how long you want the gun trust to last and if the assets of the trust beneficiaries can be shielded from the creditors of the beneficiaries. These are some of the issues general gun trusts often do not address. Wagner Stuart, PLLC takes these and other issues into consideration for its clients and drafts the appropriate gun trust to meet the clients requirements. Contact Wagner Stuart to explore options to protect the firearms you rightfully own. A 19-year-old university student from Malaysia was hit by a car as she was riding a bicycle across campus to attend morning prayer before her class. The driver's auto insurance carrier denied liability and the extent of the woman's injuries. Without filing suit, the insurance corporation of the driver who struck the woman eventually paid policy limits, which were in excess of the statutory minimum required in Oklahoma. A man ordered a mattress to be delivered to his home. Three men arrived, but only two wore the company work shirt. After the men left, he discovered his WWII Colt .45 was missing. With Wagner Stuart as his legal representation, the decorated war veteran obtained compensation for his lost World War II Colt .45 revolver. A towing service was called to remove a truck with a trailer full of hot asphalt. Upon removing the tractor, the trailer overturned and spilled asphalt. The plaintiff alleged our client did not properly stabilize the trailer and said the defendant's driver must have knocked it over. Wagner Stuart secured a dismissal and avoided numerous out-of-state depositions for the client. The defendant's insurer closed its file with minimum expense. Your case goes beyond defendant and plaintiff. The complexities of defending or filing an accident claim include more than your word against theirs. The Oklahoma law firm of Wagner Stuart has amassed a network of experts and consultants who may be important to a case, which enables us to determine which are most likely to be effective and relevant to your situation. It doesn't matter if you are the plaintiff or the defendant in an accident claim, our strategies work for an expeditious and fair outcome you deserve in your case. Don't let someone else's mistakes dictate the rest of your life. Seek a Tulsa injury attorney who can help you put your life back where it should be. Contact Wagner Stuart to set up a consultation through this site. For individuals and insurance companies, Wagner Stuart offers a depth of knowledge when it comes to guiding individuals to make the right decisions with their policies and fighting for insurance providers and businesses. We're prepared to help you make the right choices when it comes to your insurance. If you have questions about insurance defense, or just don't know what to do with your policy, contact an attorney at Wagner Stuart. Since 1974, Wagner Stuart has provided professional, timely and cost effective representation for its clients. Every effort is made to serve our local and national clients in the way clients expect to be served, paying careful attention to budgets, instructions and goals. Although similarities do exist, every case is unique. From the document intensive litigation case to the creation of a will or trust, our focus is on what each client wants to achieve. We’re there to design a tailored response to each legal challenge you may encounter. I try to find one new positive thing to learn from each case and incorprate it into the practice of law and the practice of life.